Friday evening, myself & FP02 left for the first DTAG event in quite some time. 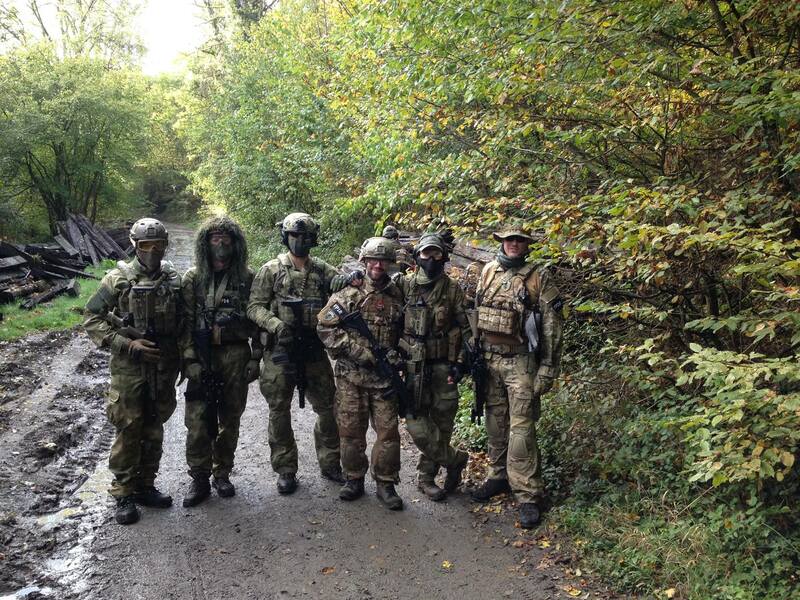 Ever since our beloved airsoft field at Schoten closed (snif…) DTAG stopped organising events. With a lot of anticipation we headed out to the new field. On paper it seemed very promising: A castle, 10 different warzones, a woodland area and a CQB area. How bad could it be? We where ready to go at it full throttlen even though we arrived late at night and the night was very cold at the camping site. FP06, FP14, FP24 and FP12 arrived in the morning. At the start of the game, everything was taking a lot longer than expected. Apparently, the owner of the field had to be paid by DTAG upon arrival. Guns had to be equiped with safety ‘socks’ while walking over the terrain. Ultimately the game really started at 11 ‘o clock. It was clear from the start that these fields where prepared for paintball and not airsoft. The whole field was covered in paintballs and different obstacles where set up exactly for that. It took some time to reach the better parts of the field, and once we finally got into the action decently, it was time to leave for another terrain. This really sucked… Again the socks had to be placed on the guns and we lost playing time while making our way to the other field. 60 Airsoft players in a chicken ranch… In the afternoon we finally got to play the castle area. This had the most potential of all the terrains, where it not for the extreme amount of cheaters there that didn’t call their hits. All things considered, it was fun, because of the great company of the team! Doesn’t matter who comes along or how many people. All members are great and fun is evident every time we get together. I would also like to welcome Dany as new member. I am certain he will be a solid addition to the team!